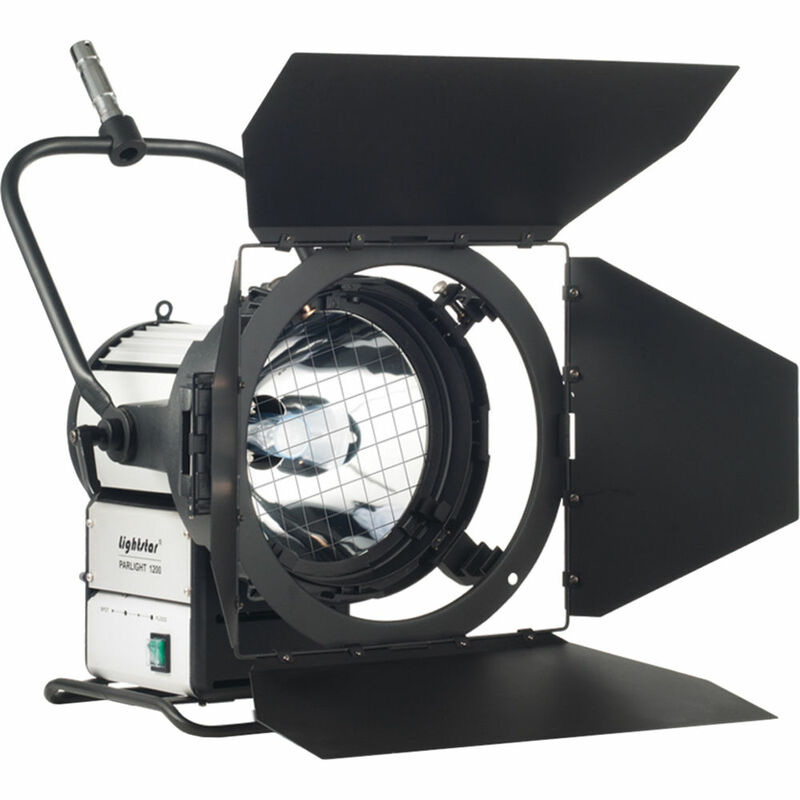 The Lightstar 1200W PAR HMI Head with Electronic Ballast Kit from ikan pairs the LSP-001 daylight-balanced 1200W head and the LEB-003A electronic ballast to provide constant output power for your light. This combination enables you to shoot at speeds up to 10,000 fps without flickering problems and control light dimming between 50 and 100%. A head-to-ballast cable is included, featuring a length of 23' that allows you to place the light away from the ballast for a safe and convenient setup. All the accessories that come with the solo LSP-001 head are in the box, such as the five interchangeable lenses, the barndoors, the gel holder, and the yoke. Suitable for shooting in daylight conditions in a space with large windows or creating a sunlight effects, the powerful Lightstar 1200W PAR HMI Head from ikan has features that have become a staple on sets, in studios, and on location. The Lightstar 1200 uses a separately purchased HMI lamp which not only renders light with a color temperature of 5600K for shooting in daylight, but also outputs the approximate equivalent of a 3,600W tungsten fixture. The Lightstar 1200's 10" lens offers an expansive spot-to-flood range of 6 to 42-degrees for sharp-shadow sunlight effects, or an even flood to fill silks and other modifiers. Spot, Flood, Narrow Flood, Super Flood and Frost filters are included to give you further options and effects. Beam adjustments are made with a simple rotary knob, while the included 4-way barndoors give you further opportunity to shape the light beam. The light runs dead quiet thanks to its passive cooling system and aluminum construction, comes with a yoke with a 1-1/8" pin and is IP23 weather-resistant. Powering the lamp head requires the separately purchased LEB-003A 575/1200W Electronic Ballast which offers multi-voltage compatibility and 50 - 100% dimming. Compatible with 575 and 1200W Lightstar lamp heads, this Electronic Ballast from ikan accepts 90 to 125 VAC and 180 to 250 VAC input voltage and is dimmable from 50 to 100%. The unit's 23' head-to-ballast cable allows it to be easily isolated from the lamp head for a clean and safe setup.